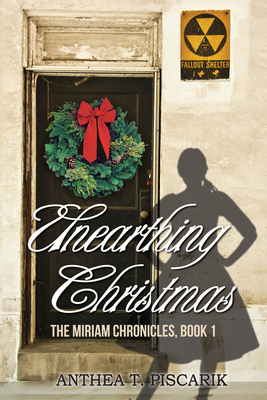 Anthea Piscarik will be appearing to sign copies of Unearthing Christmas. Unearthing Christmas offers a glimpse into a world before technology became the driving force in everyday existence. Fourteen-year-old Peggy, in 2015, cannot imagine a life without iPads, iPhones, Twitter, Instagram, and Facebook. Lori, a teenager with a personal mission, has no knowledge beyond 1955. She reenters the world through time and space to stop Peggy from stealing treasured possessions. Their meeting ground is a bomb shelter, decorated for Christmas, and completely preserved in a span of 60 years. Peggy, a modern-day malcontent, knows she must change her negative course, but doesn't know how, and can't figure out where to start. She and her cohorts, Larry and Fran, discover the abandoned bomb shelter in search of a hiding place for pilfered property. Peggy's reality is permanently altered when she returns to the underground shelter, alone. At first she considers Lori an amnesiac, and soon learns she is a supernatural acquaintance, unseen by anyone else. Together, Lori and Peggy enter a fate-filled journey leading to self-awareness, understanding, and ultimately, forgiveness. The signing will take place on Sunday, December 16th, from 1 until 3 p.m.